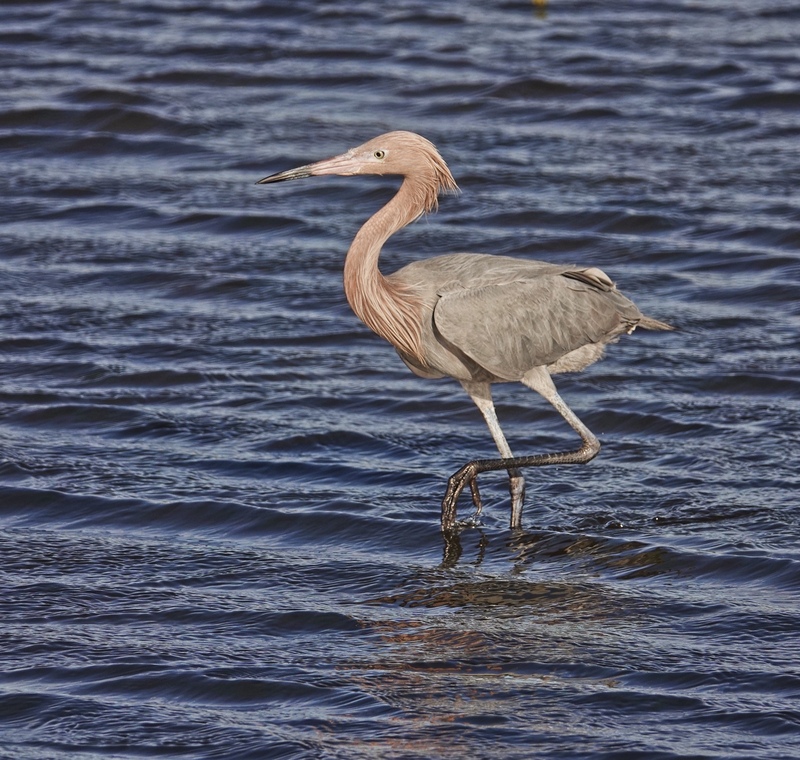 Reddish Egrets are so much fun to watch as they fish in the shallow waters of Merritt Island National Wildlife Refuge. They run erratically, they lift their wings, they totter and turn, posturing and prancing and apparently having a lot of fun. Of course, in reality, it is all in a day’s work for them…the serious business of chasing down prey…but for the watcher it can be very entertaining. And I am always willing to be entertained. Plus, they are simply an attractive bird. That blend of grey and reddish purple, and the texture of the feathers can be very striking in the right light…and the the Florida light is often right. Sony RX10iv at 600mm equivalent. My birds in flight and action modifications to Program mode. 1/1000th @ f5 @ ISO 100. Processed in Polarr.